Attractive Onella table light in banker style for any living area and also for a desk. 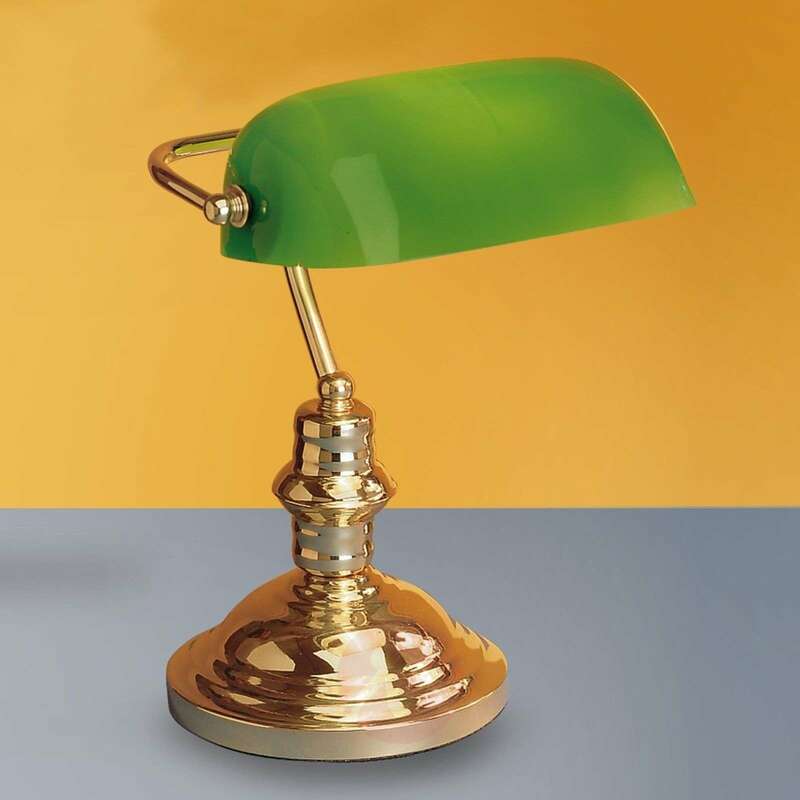 The green glass shade on the brass-coloured frame can be swivelled. Attractiveness and illumination have been stylishly combined here. Didn't realise that it would have a foreign plug two pins!! No, I cannot recommend this product. All of our lamps with a continental 2-prong plug are shipped with an adaptor for the UK free of charge, appropriate for the type of plug of the specific light. If it seems you did not receive an adaptor please contact our customer service and we will be glad to send you one free of charge.